The Garage Door Centre began in 1986 and now celebrates 32 years of continued business supplying and installing the highest quality garage doors, roller doors, entrance doors and associated products throughout the UK. We attribute a lot of our success to supplying only the highest quality door products available ensuring the best guarantees and continuous trouble free operation for years. 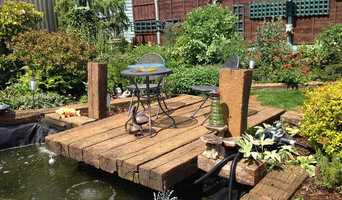 UK Timber Ltd provides high quality timber and wooden products throughout the UK. The company’s products can be used for various purposes such as commercial, home improvements, construction and as tinder. The products that the company offers include: •Decking boards •Oak beams •Timber cladding •Timber decking Also offering ready-made, handcrafted products alongside their organic pre-cut timber products, some of them include: •Bearers and dunnage •Custom-cut timber •Hand-crafted furniture •Hand-crafted gates All UK Timber merchandise is PEFC and FSC approved. For customer satisfaction, UK Timber offers nationwide delivery services to their customers. Learn more about the company and its products by calling 01536 267107. A proffesional family business with over 20 years experience in Garage Door Repairs and Automation. 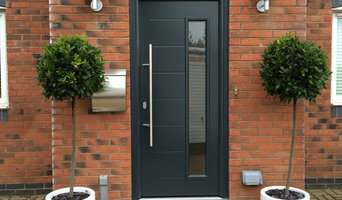 Kirby Garage Doors is a Leicester based company who fit garage doors and driveway gates to homes across Leicestershire. Each member of the team is fully trained in fitting steel, timber and UPVC doors including electric opening styles. 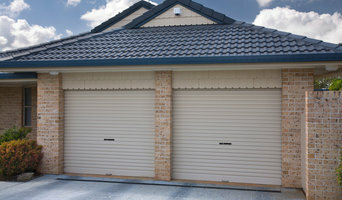 The company also offers a garage door maintenance and repair service. BH Garage Doors is a family run business offering over 10 years experience of working in the garage door industry and a wealth of knowledge. We are based centrally in Leicestershire, covering the whole midlands area and pride ourselves on offering the highest standard of professional service. We do not charge for call outs and after a consultation with us, we will recommend the best solution for your needs and your budget. Sometimes a new door is not always necessary and simple repair on your existing door could be all that is needed. In this current economic climate we pride ourselves on value for money and providing you with affordable options. 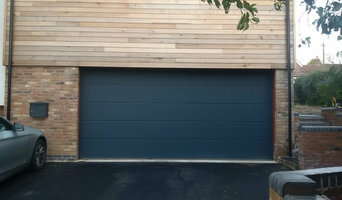 We offer garage doors repairs and new garage doors in Coalville, Whitwick, Ashby de la Zouch, Swadlincote, Hinckley, Loughborough, Burton upon Trent, Shepshed, Woodville and accross the entire East Midlands. Whether you are decided on a style and material or not, talking to a professional from a Leicester, Leicestershire garage door company or garage builders is always advisable because they will know more about the functionality, prices, durability and installation process than anyone else. You may find that you can find a garage doors repairer or installer through another professional, such as a building contractor or architect. Here are some related professionals and vendors to complement the work of garage doors: Cladding & Exterior Contractors, Doors, Home Builders, Design & Build, Artists & Artisans. Find garage door professionals on Houzz. Narrow your search for a Leicester, Leicestershire garage door company or garage builders by entering your nearest city or postcode. Look at portfolio and product photos, and read reviews to find the best garage door professional for your home.